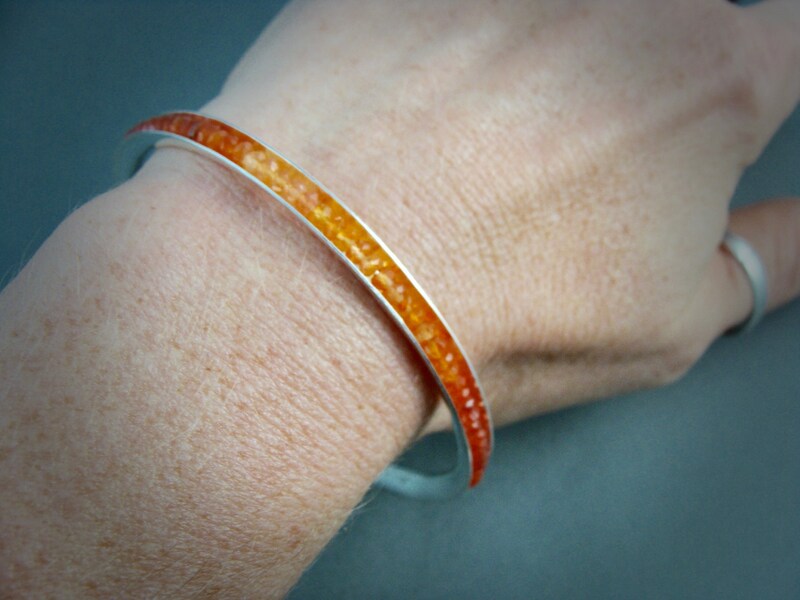 This listing is for one ombre carnelian bangle. 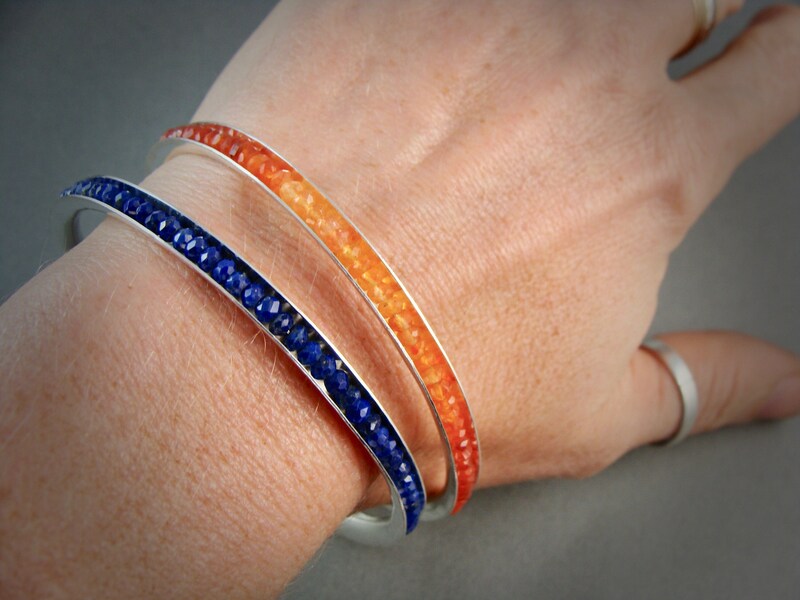 A whole bunch natural gemstones shimmer from within the folds of this organically shaped fine silver bracelet. 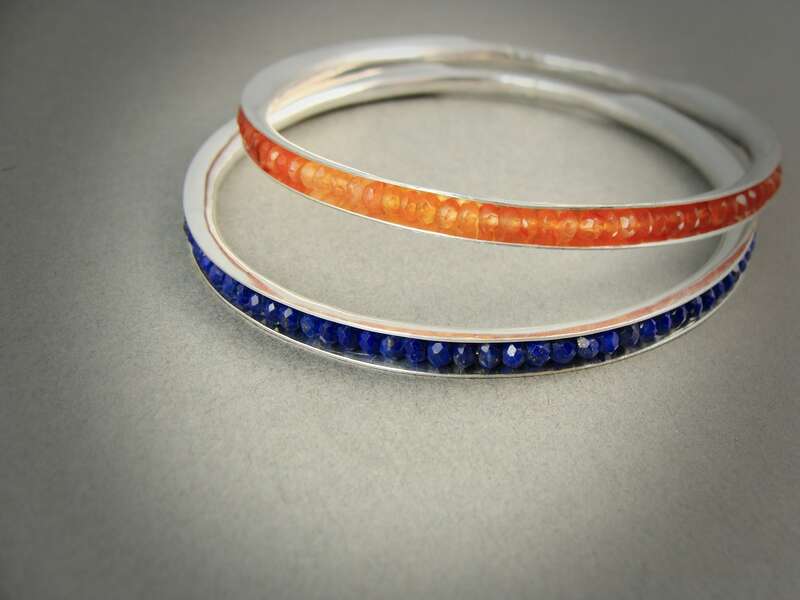 The stones are held securely in place by sterling wire and are arranged from light to dark. 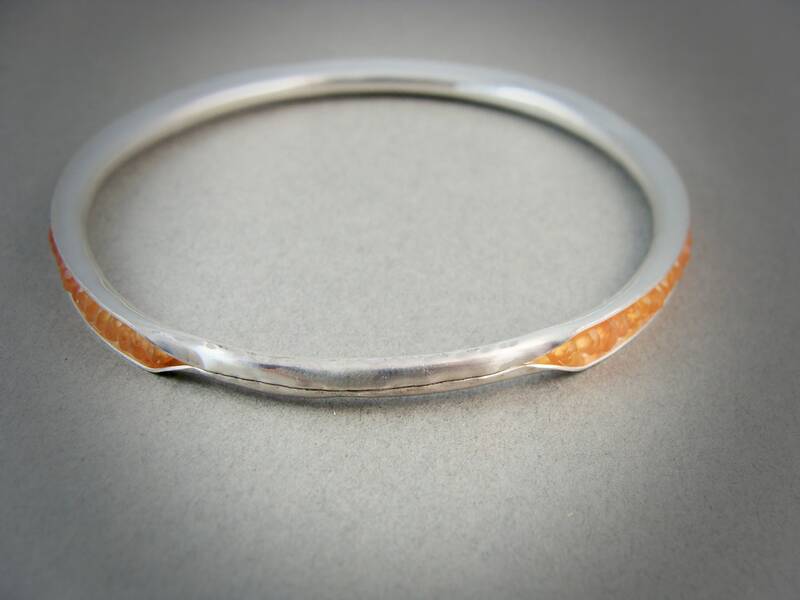 This bracelet was hand-formed by me, then hammered and textured so its pretty from all angles. 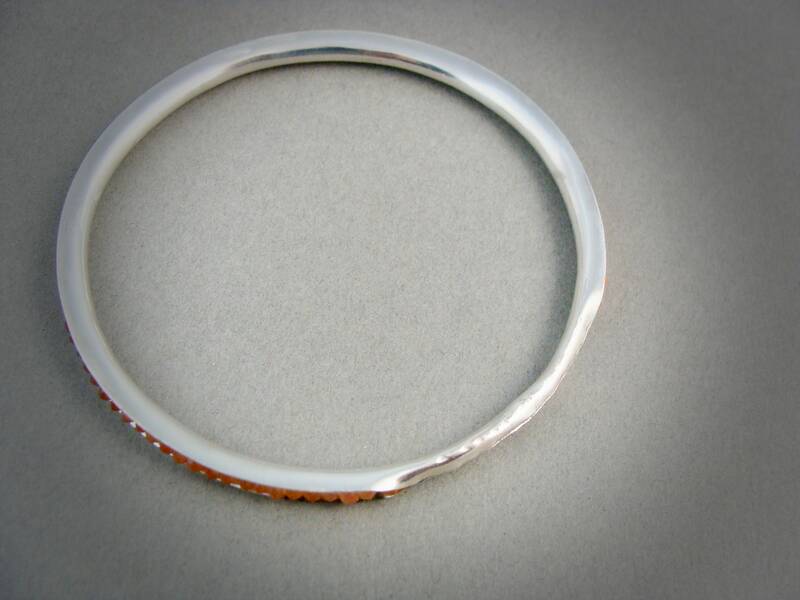 The stones wrap all the way around this bangle except for a 1" hammered section. 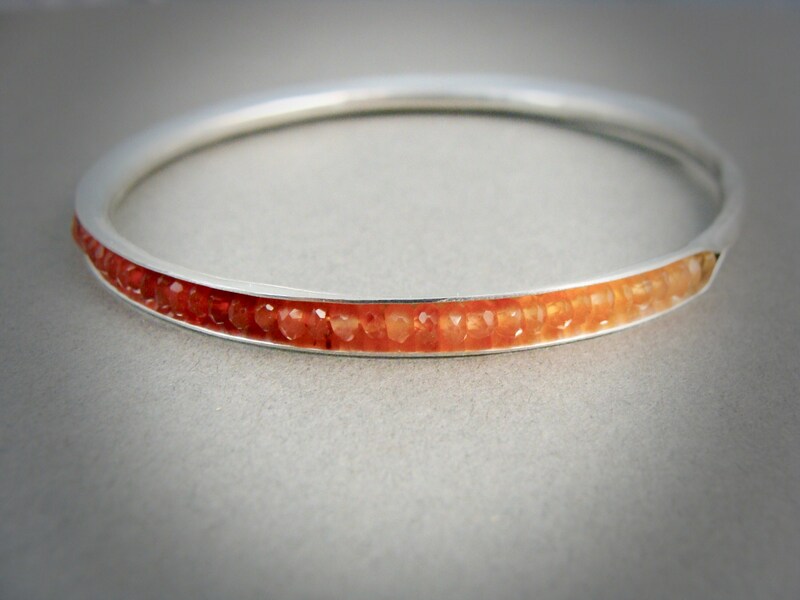 Simple, fresh and pretty!